From fighting aging to preventing cancer, alkaline water's devoted followers claim that drinking water with a higher pH level can do wonders for overall health. Some of the world's most beautiful bodies are reportedly fueled by alkaline water, also known as ionized water, including entertainment queen Beyonce and NFL pinup Tom Brady. Even entire NBA locker rooms are hooked on various brands of the stuff like Essentia, LIFEWTR, AlkalifeTEN, and more. So why all the fuss? 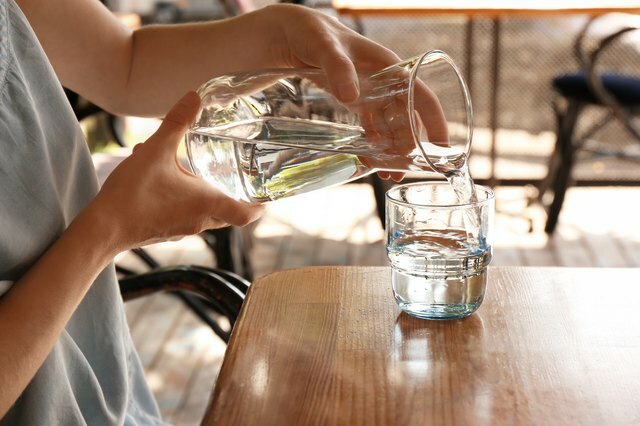 If you've ever considered dipping into the alkaline water trend, here are a few facts on its history and possible effects, and whether drinking alkaline water really can make a difference in how you look and feel. What's so great about alkaline water? According to alkaline water loyalists, drinking water with a pH level between 8 and 10 neutralizes the acidity we take in every day from processed foods, pollution, caffeine, alcohol, and more. The result, according to claims, is a better hydrated, and better looking, feeling and functioning body. Alkaline water proponents swear by its ability to boost bone health, promote longevity, and improve blood pressure, among other eyebrow raising benefits. Alkaline water is made naturally when water runs over rocks and is absorbed and passed through the rock's porous surface, filtering out all of the impurities. Many bottled brands take advantage of this natural process and bottle the Flintstones-filtered stuff. 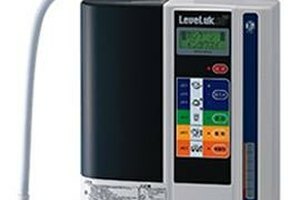 To avoid buying alkaline water by the bottle, or if you want to make a commitment to drinking alkaline water almost exclusively, you can install your own water ionizer unit, which makes enough water to use for cooking and even cleaning. Around the size of a coffee maker, ionizers filter tap water, then run it over electrodes, producing ionized water in large quantities. But, before you rush out to score one for your kitchen, it might be good to check with the science community. To say it's skeptical of alkaline water claims would be an understatement. That's not all. Turns out stripping out all of the minerals in water might do more harm than good. 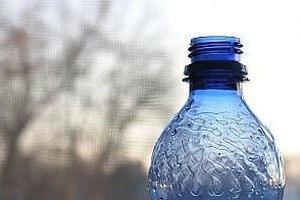 The World Health organization warns drinking low-mineral water could actually be harmful and can cause side effects ranging from damaging the intestinal mucus membrane to possible exposure to toxic metals. Is alkaline water just a gimmick? For centuries, the idea of drinking water with plenty of minerals was associated with good health. The WHO article adds that drinking water with minerals for wellness goes as far back as ancient India. The book Pig Veda described desirable drinking water as having "Sivam," meaning the presence of minerals and other trace elements. 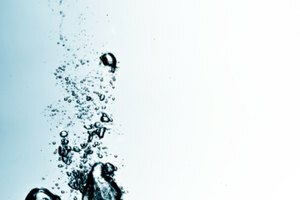 Do we need all those minerals in water? The industrial process of water demineralization was first introduced in the 1960s as a way to provide drinkable water to areas where it was scarce, particularly in Central Asia. It was later deemed unhealthy, according to the World Health Organization. 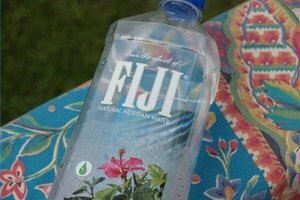 First and foremost, people said the demineralized water tasted bad. Second, some of the minerals taken out of the water in the demineralization process are beneficial for human health. Third, and perhaps most dangerous, demineralized water can break down pipes, leaching harmful minerals into the water, which are then passed to humans. "It was clear from the very beginning that desalinated or demineralised (sic) water without further enrichment with some minerals might not be fully appropriate for consumption," according to the WHO. And then there's Beyonce. For her Mrs. Carter world tour, the tour's insurance rider outlining the star's needs for a performance, which was published by New Zealand's The Fix, stated Queen B needed alkaline water cooled to exactly 21 degrees and served through a $900 titanium straw for all of her performances. That's a pretty good sales pitch for her legions of fans and followers seeking the magical source of her singing and dancing superpowers. So, if you've been thinking about giving alkaline water a go, just know the science community isn't sold. But if it's good enough for Beyonce's lemonade, maybe there is some kind of magic involved—or maybe it's just the $900 straw. Medical News Today: Is alkaline water good for you?